"Gets stuck into his written work and provides brilliant analysis of the legal issues." "A brilliant, brilliant junior counsel who is very clear-headed." Richard has a broad practice that covers all aspects of Chambers’ work but with particular expertise in commercial dispute resolution, civil fraud, banking, competition law and EU law. In 2015 he was awarded Young Practitioner of the Year by the World Export Controls Review, having been active in some of the highest-profile matters reported by WorldECR, and being instrumental in recently securing the de-listing of numerous key EU sanctions targets. Recent high-profile cases in which Richard has been instructed include acting for Igor Kolomoisky in respect of a $US2bn fraud claim brought against him by the Ukrainian PrivatBank, acting for the claimant Libyan Investment Authority in a multibillion-dollar fraud claim concerning five complex financial transactions which the LIA alleges were procured by corruption and which led to a settlement reported to be c.$US1bn; acting for the Claimant FDIC-R in claims against 8 USD LIBOR panel banks and the British Bankers Association in respect of claims under US law and EU competition law based on the banks’ collusive suppression of USD LIBOR. In recent years Richard has acted for the defendants to claims brought by Chevron in respect of an alleged $18bn conspiracy to obtain a fraudulent judgment in Ecuador; the long-running Pay TV litigation in which Richard was instructed for the FA Premier League and Ofcom’s investigation into the Premier League’s rights sales. Richard has acted in numerous cases involving eastern European states. As well as the Kolomoisky litigation, Richard has represented Russia in the European Court of Human Rights, successfully obtained a freezing order on behalf of the daughter of the Kazakh President, and has acted led and unled in a number of cases on behalf of Boris Berezovsky, including the multi-billion dollar litigation against the estate of his former business partner and Vasily Anisimov as well as numerous fraud claims and enforcement actions. Richard has been recommended by Chambers and Partners for many years, including as “A brilliant, brilliant junior counsel who is very clear-headed" and by Legal 500 as being “"Brilliant, very sharp and a true superstar." In addition to his commercial practice, Richard also has particular expertise in challenging and advising on EU, UK and EU sanctions measures and has been instructed by dozens of banks, companies and individuals to challenge the sanctions imposed upon them both in the European Court of Justice Court and the Administrative Court. Of Richard’s sanctions cases that have reached final determination, the large majority have resulted in the sanctioned person or entity being de-listed. Richard now acts in damages claims against the EU on behalf of unlawfully sanctioned entities. Richard has appeared led and unled in the Commercial Court, the Chancery Division, and the European Court of Justice; he has also appeared in the Administrative Court, the Court of Appeal and the European Court of Human Rights. Richard has acted in numerous arbitrations, including arbitrations under ICC and LCIA rules. Richard has been a member of Chambers since the completion of his pupillage in 2008. Prior to coming to the Bar, Richard received a double first in Law from the University of Cambridge, graduating from Fitzwilliam College with the prize for the best academic performance in the graduating class across all science and arts subjects. He then received his LL.M. at Harvard Law School to which he was awarded a full scholarship (as the Baker & McKenzie scholar). Before commencing his pupillage, Richard spent time working in investment banking for Goldman Sachs. Richard was based in GS’s Operations division, working with credit derivative and interest rate swaps in the documentation team. Whilst studying for the BVC, on which he was ranked outstanding, Richard was a supervisor in Constitutional law at Gonville and Caius College and Fitzwilliam College, Cambridge, an examiner in Applied Criminology at the University of Cambridge, and a tutor and examiner in public law at King's College London. PrivatBank v Kolomoisky and ors: Richard acts for the first defendant, the Ukrainian oligarch Igor Kolomoisky in respect of a c.$2bn fraud claim brought against him and others by the bank which he used to own before its privatisation by the Ukrainian state in 2016. Federal Deposit Insurance Corporation v Barclays and ors: Richard acts for the claimant FDIC in its capacity as receiver for 39 closed US banks. The FDIC claims against Barclays and other USD LIBOR panel banks and the British Bankers Association in respect of claims arising out of the collusive suppression of USD LIBOR. The claims are brought under US tort law and EU competition law. Corbiere and ors v Xu: Richard acts for the claimants in a breach of confidence case which has involved proceedings in the Chancery Division, Administrative Court and the Crown Court. The Defendant has served multiple prison sentences arising out of the theft of the Claimants’ confidential trading strategies, including for breach of a Serious Crime Prevention Order. The Claimants have also taken recent steps to stop his deportation both via the Administrative Court (see  EWHC 3364 (Admin)) and the Chancery Division, with Richard instructed across the proceedings. AssetCo plc v Grant Thornton: Richard acts for the claimant in a c.£40m claim against Grant Thornton for the negligent conduct of the audit of AssetCo plc’s financial statements for f/y 2009 and 2010. The case is listed for trial in Jun 2018. Libyan Investment Authority v Societe Generale and ors: Richard acts for the claimant LIA in respect of multi-billion dollar claims brought against SocGen and a Mr Giahmi alleging that five complex transactions were procured by fraud and corruption. A recent judgment in the on-going litigation (concerning principles applicable to confidentiality clubs where there is an allege risk to life and limb) is found at  EWHC 550 (QB). The case settled at the door of Court in May 2017. Arcadia Petroleum Ltd and ors v Bosworth, Hurley and ors: Richard acts for the first and second of 10 defendants alleged to have been part of a scheme to defraud the Arcadia Petroleum Group out of hundreds of millions of dollars. The first and second defendants have successfully challenged jurisdiction in respect of some but not all the claims brought and the jurisdiction issues will now go to the Court of Appeal. Chevron v DeLeon and Torvia Ltd: Richard acted for the defendants to claims brought by Chevron in Gibraltar alleging their participation in a conspiracy to procure a fraudulent $18 billion judgment in Ecuador by inter alia subverting the Ecuadorean judiciary. The defendants denied the allegations. The related litigation has been on-going for more than 20 years in numerous jurisdictions. Lehman Brothers International (Europe) v DZ Bank AG Deutsche Zentral-Genossenschaftsbank and The Bank of New York Mellon: acting for DZ Bank in a c.€35m dispute arising out of a series of tripartite repurchase transactions between LBIE and DZ in respect of which BNYM acted as collateral manager. LBIE and DZ claim against each other for amounts allegedly due under the TPRs and DZ brings an additional claim against BNYM for breach of its duties as collateral manager in particular by placing substantial ineligible collateral in DZ’s custody account. JPMorgan v BVG: a dispute involving a single-tranche CDO transaction worth in excess of $200million and which previously reached both the Supreme Court and the CJEU on issues of jurisdiction. BVG also brought an additional claim against Clifford Chance Germany in respect of alleged negligent advice and breach of duty. The parties settled after 7 weeks of the 3-month Commercial Court trial. Richard has a broad EU and competition law practice. Richard is regularly on EU and UK competition law litigation and matters and appeared as junior counsel for the successful claimants in the landmark Purple Parking case. He is recommended as an up-and-coming junior in Competition Law by Chambers and Partners 2013 who "has already attracted attention for his "impressive" competition law work, and is noted for his "responsive and practical" approach." Federal Deposit Insurance Corporation v Barclays and ors: Richard acts for the claimant FDIC in its capacity as receiver for 39 closed US banks. The FDIC claims against Barclays and other USD LIBOR panel banks and the British Bankers Association in respect of claims arising out of the collusive suppression of USD LIBOR. The are primarily advanced under EU competition law, alleging that the suppression of USD LIBOR was done pursuant to an agreement or concerted practice, contrary to Article 101 TFEU. BSKY, Premier League and ors v Ofcom (CAT)  CAT 20 and (Court of Appeal)  EWCA Civ 133;  4 All E.R. 673: Richard appeared for the Premier League in a successful challenge to Ofcom's Pay TV decision that Sky must wholesale its Sky Sports channels to eligible competitors at a set price; the matter is still on-going and has been remitted to the CAT by the Court of Appeal for consideration of an issue that the CAT was said to have missed. Advising and acting for the FA Premier League in respect of Ofcom’s investigation into the Premier League’s sale of its rights, for which it received over £5 billion at auction in February 2015. Purple Parking & Meteor Parking v Heathrow Airport Limited  EWHC 987 (Ch): landmark Article 102 / Chapter II claim, acting for the successful claimant valet parking companies who established that Heathrow Airport's decision to relocate their operations to the car parks from the forecourts was an abuse of Heathrow's dominant position. Richard practices in all areas of EU law and has appeared in EU law matters in the High Court as well as the General Court and the Court of Justice. Richard has particular expertise in challenging and advising on international and EU sanctions measures. He is currently instructed by more than twenty banks, companies and individuals, in over a dozen cases, to challenge the sanctions imposed upon them both in the General Court and the Administrative Court. Of Richard’s sanctions cases that have reached final determination, the large majority have resulted in the sanctioned person or entity being de-listed. These include the Iranian banks Bank Mellat (Case T-496/10), Bank Saderat Iran (Case T-494/10), and Bank Tejarat (Case T-176/12), the Chairman of Bank Mellat (Case T-497/10) and senior figures at UK and Dubai banks (Cases T-69/12 and 71/12). Case C‐585/13 P Europäisch­Iranische Handelsbank AG v Council: the leading CJEU authority on the relationship between licensing decisions of national competent authorities and subsequent decisions by the EU Council to impose restrictive measures on the licensed entity. Joined Cases Case C‐176/13 P and C-200/13 P Bank Mellat and Bank Saderat Iran v Council: after the two large banks succeeded before the General Court in obtaining the annulment of the sanctions imposed on them, the Council appealed to the CJEU. Advocate General Sharpston has opined in favour of the banks and judgment is awaited. IAG and British Airways v SEPLA and IFALPA  EWHC 1657 (Comm): appearing for the Spanish defendant SEPLA in a successful jurisdiction challenge to claims by IAG and BA. In a ground-breaking case, SEPLA successfully argued that IAG and BA’s claims based on an alleged violation of their free movement rights were not civil or commercial matters within the Jurisdiction Regulation 44/2001. Case C-110/12 P(R) Akhras v Council: important interim relief decision in which the Presidents of the Union Courts clarified the standard to be applied on hearing such applications and rejected the applicant's claim for interim relief notwithstanding evidence that the imposition of sanctions had put his life in real danger. Case C-380/09P Melli Bank plc v Council of the European Union - acting for the appellant bank (a UK subsidiary of an Iranian bank) challenging the Council's decision to freeze its funds as part of measures to counter Iranian nuclear proliferation. Case C-343/09 R.(Afton Chemical Limited) v Secretary of State for Transport - acting for Afton Chemical in a challenge to the validity of Article 1(8) of the Fuel Quality Directive (Directive 2009/30/EC) which seeks to limit the use of methylcyclopentadienyl manganese tricarbonyl. The European Court of Justice will hear the case in April 2010. In addition to Richard’s EU practice, Richard is regularly instructed to advise on public law matters and matters in the Administrative Court and has appeared in the European Court of Human Rights in Strasbourg representing the Russian Federation in its dispute with Georgia over alleged human rights violations during the August 2008 war in South Ossetia. Richard has recently assisted in a claim for judicial review in Corbiere v SSHD see  EWHC 3364 (Admin) in which the Claimants seek to prevent the deportation of a foreign national who is the defendant to civil proceedings for breach of confidence in which Richard is instructed in the Chancery Division. The case raises novel issues around the interaction of Article 6 and A1P1 rights with ongoing civil proceedings. Richard has also been instructed on a number of judicial review cases regarding the application of sanctions and regularly advises on the applicability and meaning of UK sanctions. For example, Richard was instructed to seek an injunction restraining the Foreign Secretary from voting to re-impose sanctions on an Iranian individual at a meeting of the EU Council in Brussels: NITC and Golparvar v Secretary of State for Foreign and Commonwealth Affairs  EWHC 282 (Admin). 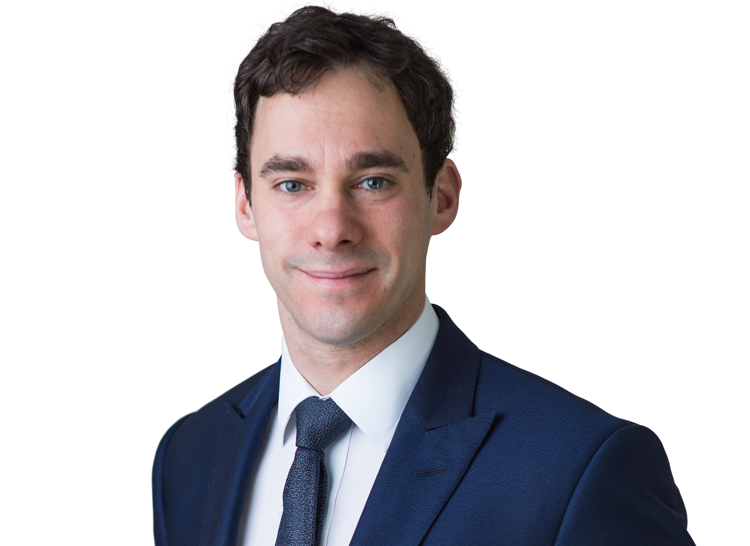 Richard has also advised the FSA and HM Treasury on a number of issues concerning the payment of compensation under guaranteed investment and deposit schemes and as junior counsel to the Pollard Inquiry into Newsnight’s dropping of a story into abuse by Jimmy Saville. Richard is regularly engaged in commercial arbitrations including arbitrations under the ICC and LCIA rules. Most recently, Richard was instructed on a series of multi-million dollar LCIA arbitrations acting for successful insurers seeking to avoid payment under a political risk insurance policy. Richard also recently acted unled in a $10 million LCIA arbitration for respondent Charterers alleged to have committed a repudiatory breach of a Charterparty by refusing to perform. Competition Litigation - UK Practice and Procedure (Green QC and Brealey QC eds.) (OUP, 2010), contributing author. Counting sheep: Ghaidan v Godin-Mendoza and the true extent of section 3 of the Human Rights Act  C.S.L.R. 1(1), 1. Recommended for Competition/EU law by Chambers & Partners 2013 as an "up and coming" junior who "has already attracted attention for his "impressive" competition law work, and is noted for his "responsive and practical" approach."